The startup community needs to talk more about stress management and mental health. 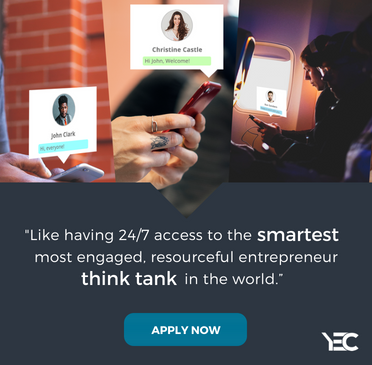 Getting started as an entrepreneur has never been easier: anyone looking to get into the game can access more resources and tap into more free information than ever before. Want to know what to say when you pitch investors? Google it. Want to learn how to advertise on a shoestring budget? There are entire podcasts dedicated to helping you do just that. But even with all this new information, there’s still one topic that is left relatively untouched: mental health. New entrepreneurs are encouraged to focus on the long-term success of their new ventures and ignore short-term pain. Work more. Drink more coffee. Sleep less. Focus on the health of your company; it will all be worth it soon enough. Unfortunately, with all this focus on productivity, there just isn’t enough attention paid to stress management within the startup community. And this lack of attention has led to some devastating consequences. Among entrepreneurs, the rate of mental health conditions (and depression in particular) is staggering. In fact, a recent study suggests that depression is more than four times as likely to take root in the lives of entrepreneurs. Recently, the tragic death of New York startup founder, Faigy Mayer, has brought some attention to this sensitive issue. Today, I’d like to take some time to talk about stress management and the role it plays for entrepreneurs. Within two months in 2014, I suffered the loss of my mother and my grandmother. My wife also gave birth during the same time period, and had to endure two nerve-wracking surgeries. This was all happening while we moved into a new place and I continued to run a fast-moving technology startup. In another world, this stress would have been significantly easier to manage. But in the startup world, you’re already running at full speed. It’s nearly impossible to stop and deal with anything outside of your business. So how was I able to cope? And how can you do the same? It all comes down to two important concepts: acceptance and gratitude. You’ve likely heard the serenity prayer before: “Grant me the serenity to accept the things I cannot change, the courage to change the things I can, and the wisdom to know the difference.” This prayer is at the heart of how I deal with everything from massive personal tragedy to trivial business hiccups. By accepting things as they happen, I’m able to move forward with my life and focus my attention solely on problems that I can actually solve. Now, accepting your situation is definitely one of those “easier said than done” kind of ideas. But if you work on this skill, you equip yourself with an ability to act when times are tough. What’s more, as a leader your employees are looking at you during these crises to be the captain of the ship. Learn which problems are actually solvable, and accept those that are beyond your control. It is important to note however, that acceptance does not mean doing nothing in the face of serious stress. In a crisis, it’s essential that you’re still executing on whatever is necessary for you to get through the situation. Ignoring your problems is not the same as accepting them. Staying grounded during moments of extreme stress and emotion is no easy feat. As an entrepreneur, you will be tested every day by unexpected crises and catastrophes. To survive in this stressful position, it can be helpful to have a bigger-picture perspective. I’ve found that one way to gain this perspective is through practicing gratitude. To get started, find a small stone that fits in your pocket and keep it with you at all times. In the morning, pick up the stone and mentally go through all the things that you are grateful for in your life: your health, your friends, your loved ones, your success. In proportion to all the greatness in your life, seemingly huge problems shrink and become easier to manage. It’s easy to lose sight of the bigger picture during the work day. But feeling the stone in your pocket can remind you of just how much you actually have going for you. It’s an powerful tactic for scaling down problems so you can handle them effectively. Finally, at the end of the day, when you empty your pockets, take a moment to think about what went well. Often, we can spend the majority of our time making amazing things happen. But a setback towards the end of the day can cause us to think the entire day was a nightmare. Use your gratitude stone to ground yourself again and remember how much you actually achieved. In the world of 18-hour workdays and frequent overnighters, it’s easy to lose your emotional balance. While the startup world is still fairly quiet about emotional health, it’s a topic that every entrepreneur needs to consider. After all, you never know when life will send tragedy your way. By practicing acceptance and gratitude, you can embrace more emotional stability in your life. Use these tools to deal with even the harshest of circumstances and still come out on top. David Henzel is a serial entrepreneur who is helping entrepreneurs to find success and harmony in business and at home.